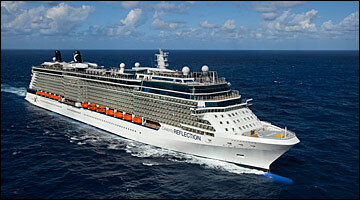 Celebrity Reflection offers a whole host of exciting and contemporary features. From the moment you step on board, you’ll embark on an adventure in more ways than one; go on a gastronomic journey with gourmet fine dining restaurants such as classic Murano, or innovative Qsine. Alternatively, let yourself be guided by your curiosity, and relax in the library or learn something new in the Celebrity iLounge.